Barbora was a Career Development Fellow who joined the Prevention of Diabetes and Related Metabolic Disorders programme in 2014, and left in December 2016. She has MSc in Psychology (Clinical, Counselling and Educational) from the University of Trnava, Slovakia, MSc (Res.) in Clinical and Health Psychology from Leiden University, the Netherlands and PhD in Medical Sciences (Public Health Research) from University of Groningen, the Netherlands. 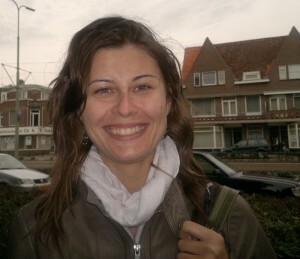 In her PhD project she explored evidence on the potential utility of sense of coherence in cardiovascular research, prevention and rehabilitation and whether sense of coherence and other psychological factors are part of the pathways that explain ethnic differences in the recurrence of coronary heart disease. Barbora lead the randomised, multisite control trial – Information and Risk Modification Trial (INFORM) – that aims to assess whether provision of genetic and phenotypic risk of cardiovascular disease motivates changes in health-related behaviours. INFORM is part of the EU funded large, pan-European initiative EPIC-CVD whose goal is to provide clinicians and policy-makers evidence based options for cost-effective individualised cardiovascular risk assessment.